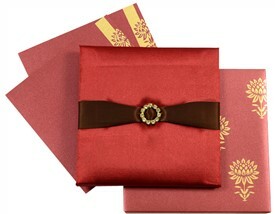 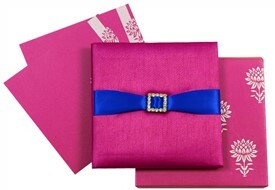 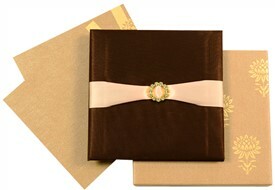 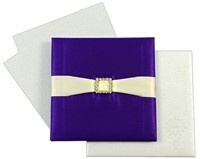 D-5988, Purple Color, Shimmery Finish Paper, Small Size Cards, Ribbon Layered Cards, Designer Multifaith Invitations. 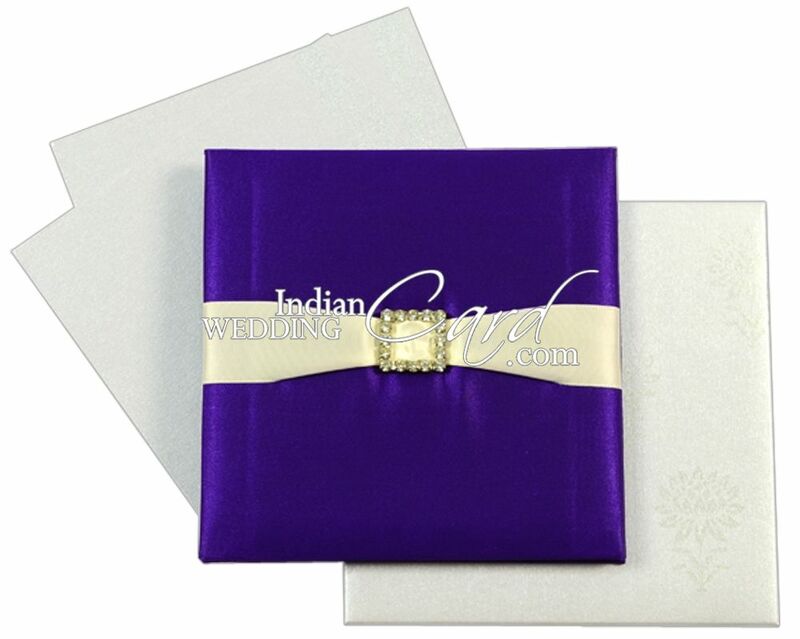 Purple Satin cloth for thick card. 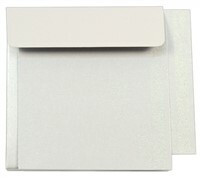 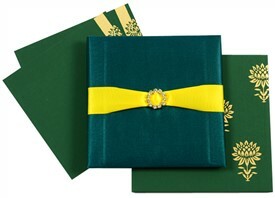 Inside Interleaf, pocket, 2 inserts and mailing box envelope in silver shimmer paper (250gsm). 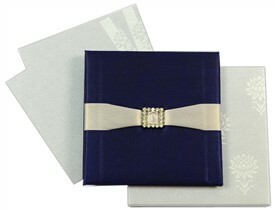 Front of card has Broach attached to satin ribbon band.